The master of nightmares, Freddy Krueger, has shown us for decades the real definition of terror. Born in the midst of a truly living nightmare where a murderous man was left to incinerate in a flame until his death would mark not only his crippled body, but burn scars onto his own wicked soul. Becoming an infamous, murdering ghouls that cannot be defeated isn’t an easy task, after all. It requires one heck of a background story! And, with that story well in place, you know that Freddy isn’t going anywhere any time soon. So, like they say, what you cannot beat, you might as well join! 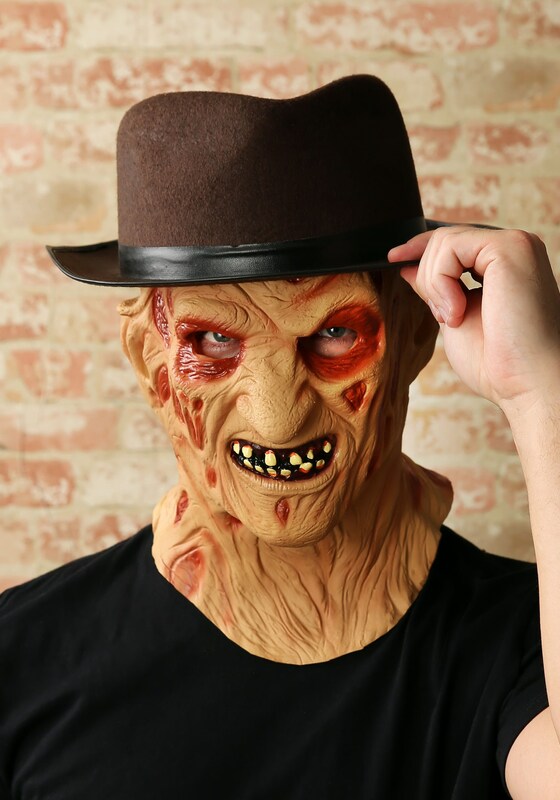 It is your chance now to haunt the nightmares of those who have done you wrong with this Freddy Krueger Latex Mask. The authentic look have openings for your eyes, nose, ears, and mouth, and shows the burned scares and tissue that will never, ever heal. Haunt all your friends with this face. All you need now is the iconic sweater and terrifying claws. 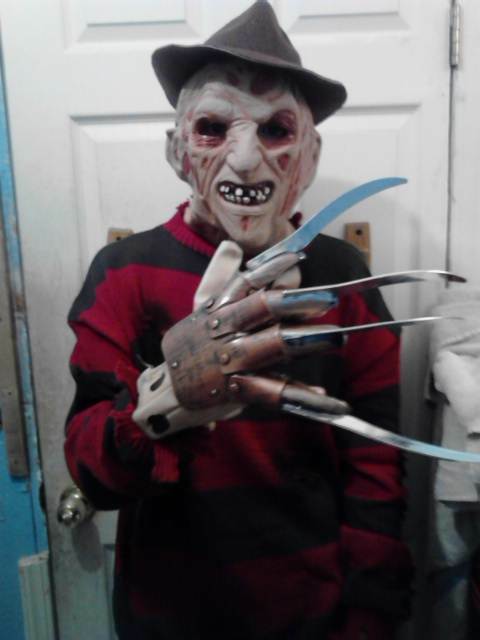 I was overall satisfied with my order for my Freddy Krueger mask! I was excited whenever I got it! Whenever I put the mask on I actually felt like Freddy himself! And when every body saw me with the mask, it gave them a big huge scare! I'm pretty sure i was gonna give them nightmares! I very much consider buying from this place whenever it is Halloween or when you need a costume for anything!! We got lots of great scares from this mask. Definitely a keeper.